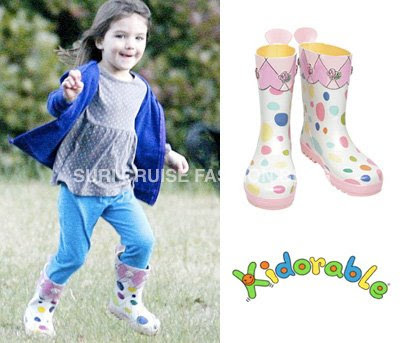 Suri also spent the afternoon on the set of "The Kennedys" on Wednesday, 21. Thanks for the video to Jake from PopSugar TV! 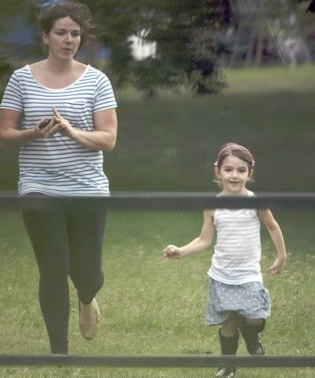 Suri spotted again on the set of "The Kennedys" in Toronto, Canada on Wednesday, 21. Suri made a new friend! Thanks to Anonymous for the link! 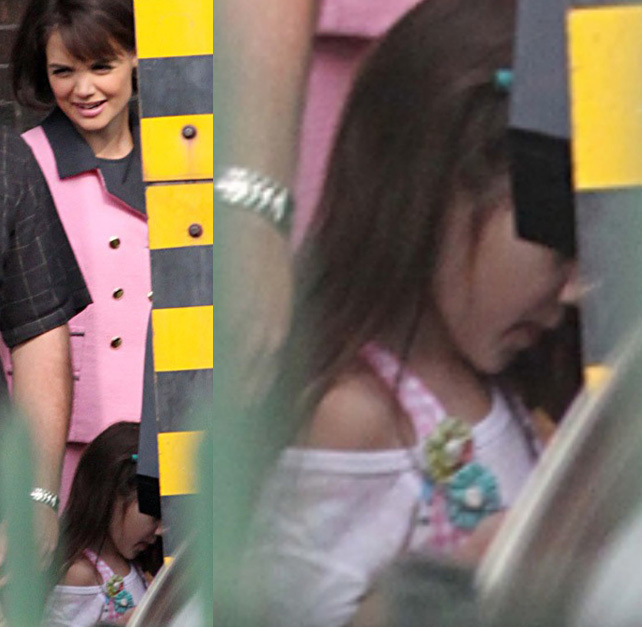 Suri visits Katie on the set of "The Kennedys" in Toronto, Canada on Tuesday, 20. 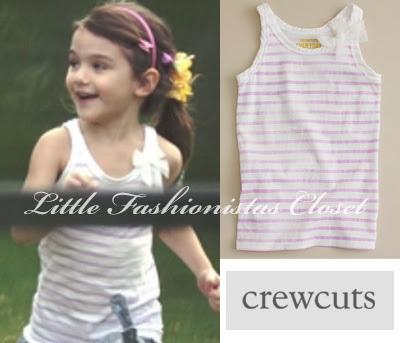 Suri is wearing Stripe Cozy Cotton Tullerina Tank in Hyacinth by Crewcuts. Suri is wearing Bow Pocket Skirt in Blue Anchor by Steven Alan. 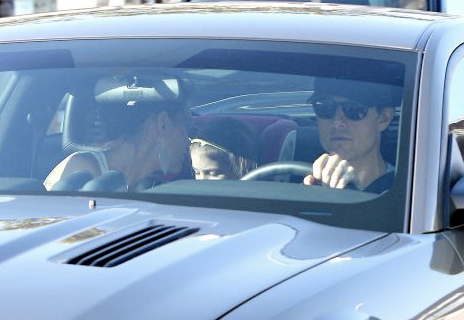 Suri & Tom venture out to get an ice-cream at Hotel Gelato in Toronto, Canada on Monday, 19. Suri is wearing Pink Satine Top from SS'10 collection by Luna Luna Copenhagen, while out shopping in LA on July 2nd 2010. 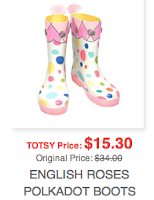 Suri takes Katie & Isabella shopping on Toronto, Canada on Sunday, 18.
iam still looking for the id, but i have a feeling thats its is either "designed by Katie" or "Holmes&Yang" dress, the cut looks like many of those H&Y dresses..
Suri is wearing shoes by Bonpoint. Suri & Katie to see "Legally Blonde The Musical" at the Princess of Wales Theatre in Toronto, Canada on Friday, 16. 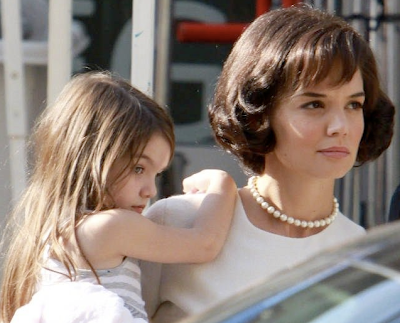 Suri was dressed all in pink, just like Becky Gulsvig, who plays lead character Elle Woods, when they visited her in her dressing room after the show. Suri had a stuffed pocket pooch in herLegally Blonde bag. Suri is wearing Pink Flamenco Shoes, first won on December 7th 2009. 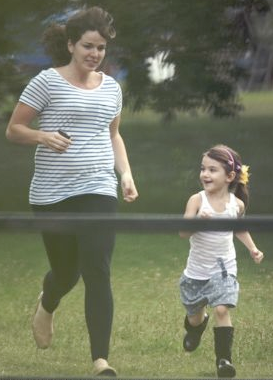 Suri & Isabella visit Katie on the set of "The Kennedys" in Toronto, Canada on Thursday, 15.
paired with Printed Floral Ballets Flats w/strap also by Crewcuts (from SS'09 collection), which she first wore on June 24th 2010. I was looking high & low for this tutu! 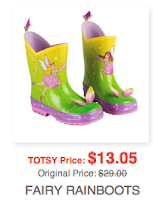 Thanks to Pauline, the owner of Basic Moves, for providing me with this info and stock picture! Unfortunately, this Pink Embroidered Tutu is from Spring 2009 collection and is long gone & not available for purchase. 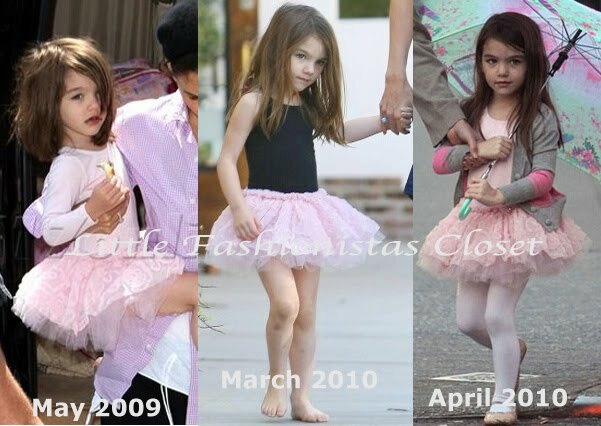 Suri loves this tutu so much that after first debuting it on May 18th 2009, she also wore it almost 1 year later on March 4th 2010 and April 1st 2010. R & K Imports, Inc. was established in 1979 as an import company. 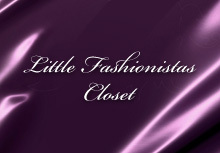 For the past 31 years, we have been operating in the United States as both an import and domestic resource for clothing. The Body Flex division, now known as Basic Moves, was created approximately 15 years ago and developed into our dance and active wear line for women and children. Throughout this development, the company has responded to the needs of its account and also added liturgical, skate and gymnastics to it's line. 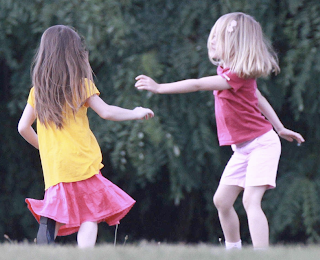 Basic Moves is known for children dance fashion. R & K Imports, Inc. is also actively involved in the private label business. Suri spotted on the set of Katie's new movie "The Kenndys" filming in Hamilton, Canada on Tuesday, 13. Suri together with her parents leaving Scientology Center in LA on Sunday, 11. 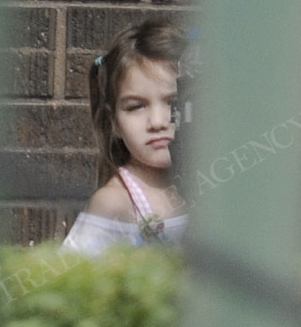 Suri looked very upset, while leaving a photoshoot with Katie in Venice, CA on Saturday, 10th. Suri is wearing Broomstick Pleated Dress in Lilac by 3.1 Phillip Lim Kids. UPDATE: Thanks to Paula for the link >> Broomstick Pleated Dress in KG sizes on SALE here & here! more exciting NEWS: Holmes & Yang collection will be available at Barneys NY from this fall! the store was closed for the public, so they had some private shopping time and Tom spent 45 minutes of videotaping Katie inside the store with a little camcorder! "Yes we will be carrying Holmes & Yang this season! Unfortunately, we won't be getting it on the website. You can find it in our Madison Avenue, Beverly Hills and Chicago stores! :)"
Suri's Favorite Rainboots by Kidorable are on 57% OFF Sale @totsy! totsy is a private sales shopping site which offers moms on-the-go and moms-to-be access to brand-specific sales, up to 70% off retail, just for them and the kids, ages 0-7. 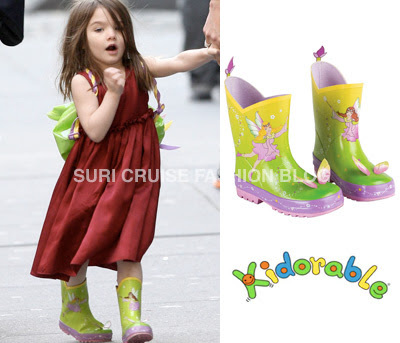 Suri went shopping with TomKat to Westfield Mall in LA on July, 2. Katie stocked on more Esme Loungewear for Suri at Riginals Children's Boutique. Suri is wearing Flouncy Silk Flip Skirt in Frosted Lilac by Crewcuts. Suri is wearing Brisé Satin Ballet Flats with tie in Pink also by Crewcuts.